In a movie that unfortunately I don't remember the name of, a monochrome monitor using red shade was visible. I found that quite fascinating back then ! Beside green, amber and apparently gray, were other colors ever been in use by some obscure hardware ? Monochrome laptop screens rendering in negative colors are welcome. 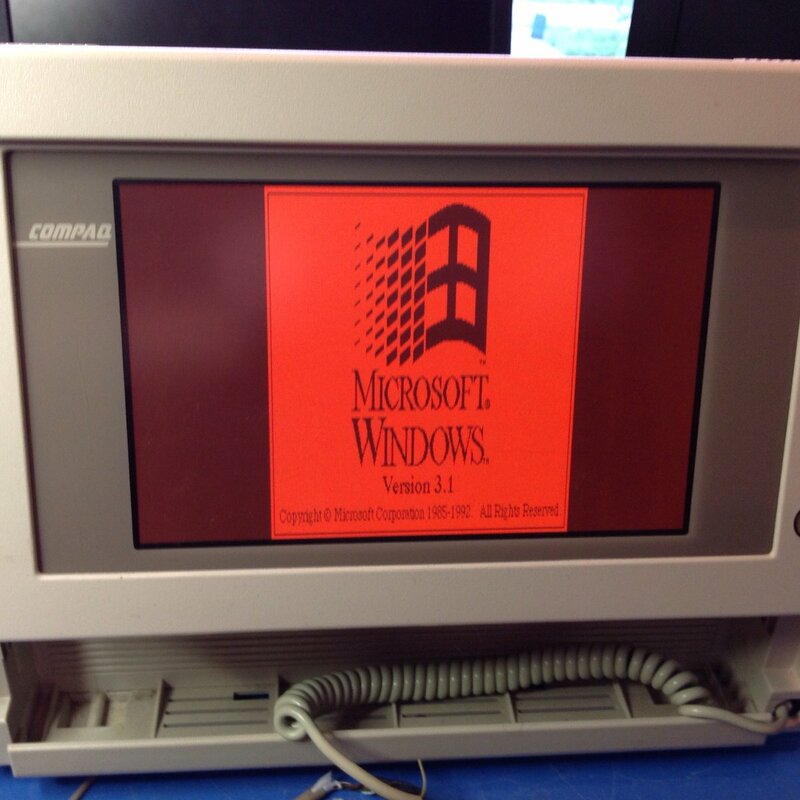 Following participants to this question, some pictures of less conventional than green monitors. 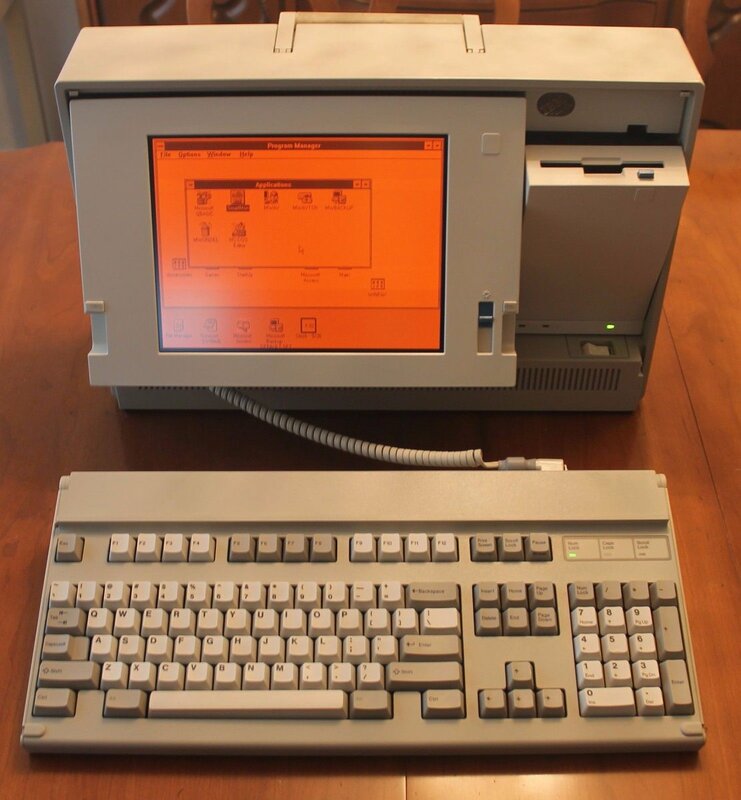 early LCD screens were bluish, some more than others; I particularly remember early Toshiba laptops being notably blue (see this photo of a T1000), and many “graphical” calculators exhibit this too. Many monochrome laptops supported “negative” colours, often using a hotkey to flip from “normal” to inverted colours. 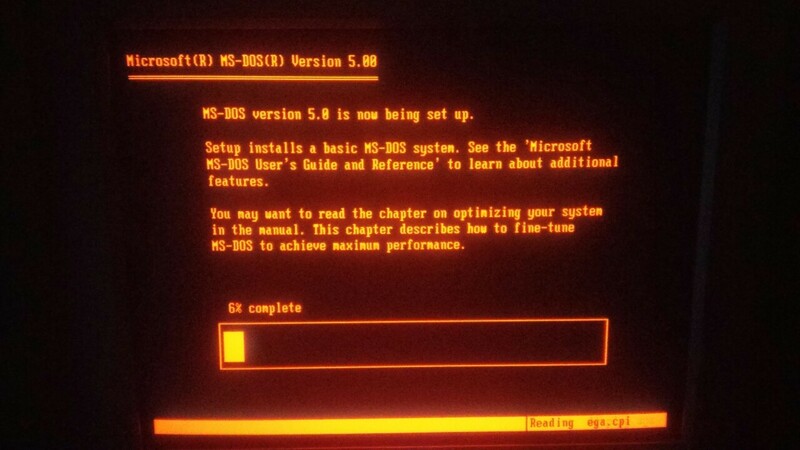 See Invert LCD screen in DOS 5.0 for an example. Monochrome CRTs’ colour depended entirely on the phosphor used to coat the display; Wikipedia lists the standard phosphor types, of which there are many. Only a few were used in CRT monitors attached to typical computers, giving the typical green, amber or white displays, but other displays used different colours or phosphors with different decay properties: look for EKG monitors and radar screens in the list. Pick any colour you want. The colour is just defined by the emission scheme of the fluorescent material used for the CRT. In fact, doing white is more complex than just doing a single colour. Screens here available with anything from light red to pale blue. Doing a single colour is much simpler than doing white (or multi colour), as it means only one type of emission coating is needed (like phosphor for green) thus making production less expensive than for white. Also consistent molecule size (as in only one material) enabled a sharper focusing thus a better display. The human green sensors a best at 530nm, while the red ones are best at detecting 560nm. Blue lies way of at450nm). In addition to this close and overlapping sensitivity the B&W receptors are fine tuned to 500nm for the highest differentiation. Also, lower frequency usually means lower energy input, thus the electrons need less acceleration which again results in less X-ray emission. Good for the user being bombarded with. In addition, using the frequencies the eye is most sensible means the over all brightness (power used) can be turned down, further reducing manufacturing cost (and X-ray emission). Bottom line, while a monochrome screen is not only the over all lowest cost solution, it also brings several advantages, with yellow/greenish colours being the optimum and a win win situation. That's why other colours haven't been able to gain any hold. Xerox Alto workstations and the Xerox D-Machines shipped with monitors that had a long-persistence white phosphor.